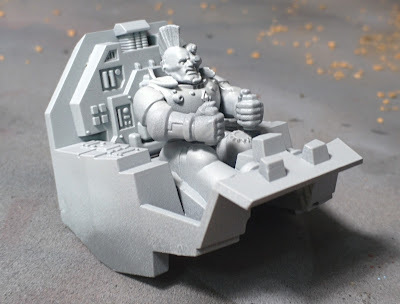 Seventh (7th) Edition of Warhammer is currently all about the mobility. 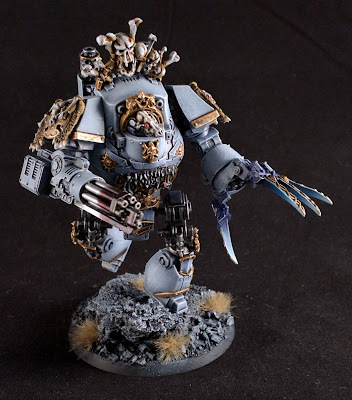 And what better personifies the Space Wolves capabilities, than a StormWolf, flying in a delivering a pack of Bloodclaws armed with flamers, very scary come turn four (4) and onwards. 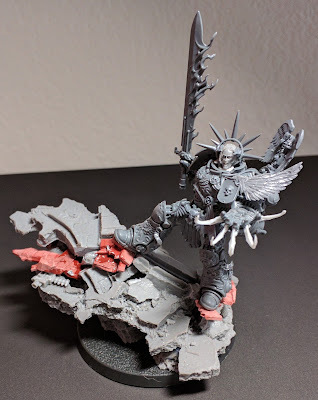 So taking that vision into account﻿ I have started on a StormWolf. 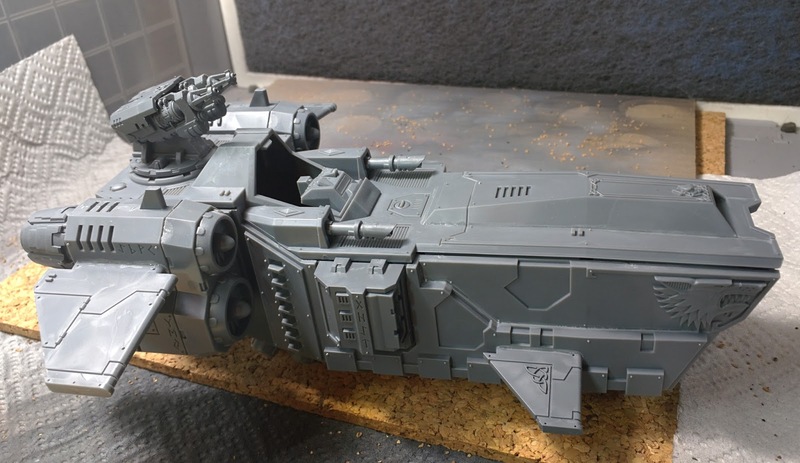 No kit bashing this time, folks, apart from some magnetizing of the turret and sponsons. 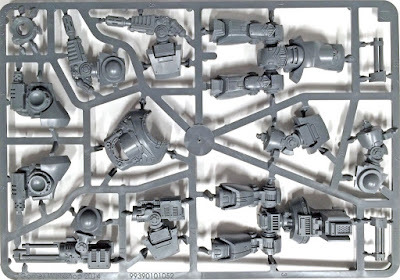 Remind me to put together a quick magnetizing tutorial, at some stage. 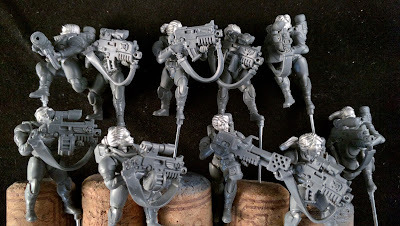 I opted to paint via sub assembly, for this project. 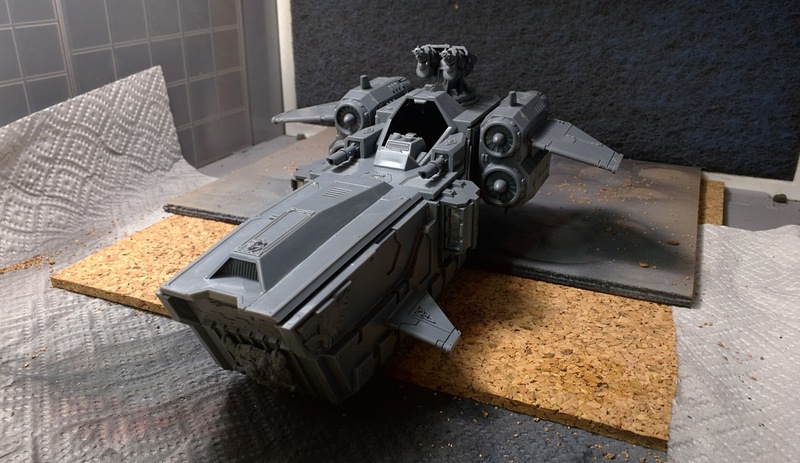 Cockpit, Body, Turret and sponsons. Now to start, I did do a spot of kit-bashing on the pilot, and sprayed him with some Vallejo Grey Primer. More to come on this as I progress with painting this one up.